An update on Alderson, the past remains of which appear to have gone up in smoke. It appears a prairie fire swept through the area around August 14-15, leveling what little was left of the former village. Following up on his comment in an earlier post, Forgotten Alberta reader, Greg, has forwarded a number of pictures depicting what he found when he visited the former village a few days ago. As he mentioned in his comment, much of what is left resembles a moonscape; although I am struck by the site of green grass in late September, a rarity itself in southeastern Alberta. The state of Alderson today also stands in stark contrast with what I found there in late July, when abundant overgrowth had overtaken and obscured the entire townsite. With the bones of this bygone village now exposed, I sincerely hope it will not be besieged by pickers and plunderers, rooting for souvenirs within the newly scorched earth. In my opinion, the value of this site extends far beyond being a place to be plundered for period trinkets and souvenirs. Scrolling through the images below, I can’t help but wonder how the former village of Alderson is any less significant than any number of the 12,500 historic places listed on the Canadian Register of Historic Places? 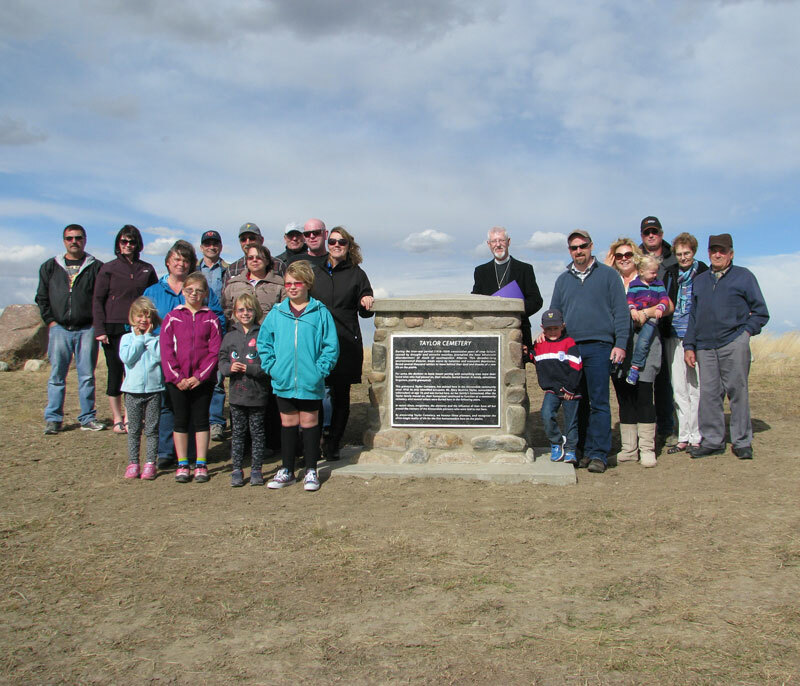 Curiously, the site of Canadian Pacific Langevin Number 1 and 2 Gas Wells, listed as the site of the discovery of natural gas in Alberta (and possibly Canada), was recognized in 1981, and the cairn commemorating this event is literally across the road from the Carlstadt / Alderson townsite. It seems a glaring and obvious oversight that the subsequent settlement was not included, especially considering the circumstances of its decline, and the historic value of this community as an illustration of the collective history of southeastern Alberta’s homestead period. Of course, this designation preceded the publication of Empire of Dust, without which we might have already forgotten about this forsaken village long ago. To me, there are many reasons for seeking some sort of protection and recognition for this site, and the recent prairie fire underscores the need even further. The experiences of the people here helped shape our province. As a descendant of southeastern Alberta pioneers, this place is sacred to me. It deserves to be treated with dignity and respect.